Time for a bull dozer? 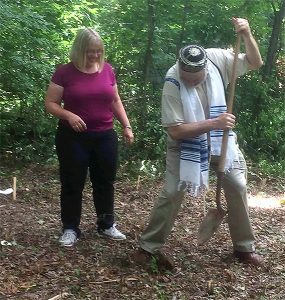 Welcome to Beit Simcha’s Building Project Blog, where I (Rabbi Glenn) will provide periodic updates about our progress in building our Synagogue and Community House. Check out a short video about a description of our vision for this project at beitsimcha.com/building-project. 2009: During a flight back from a Tikkun America meeting in Florida, the Holy Spirit impressed me to start planning a building. A few weeks later, Richard and Sandra Gangewere offered their property at 1111 Grange Road. The elders prayed and did diligence to make sure there wasn’t a building we can use in the Macungie area. 2015: Lower Macungie Township Zoning Board approved our plans. The Chair of the Zoning Board looked with favor at me and asked, “What would like us to do for you?” I asked that the Zoning Board reduce the amount of parking required since our neighbors will let us use their parking lot. The Zoning Board agreed! Favor! 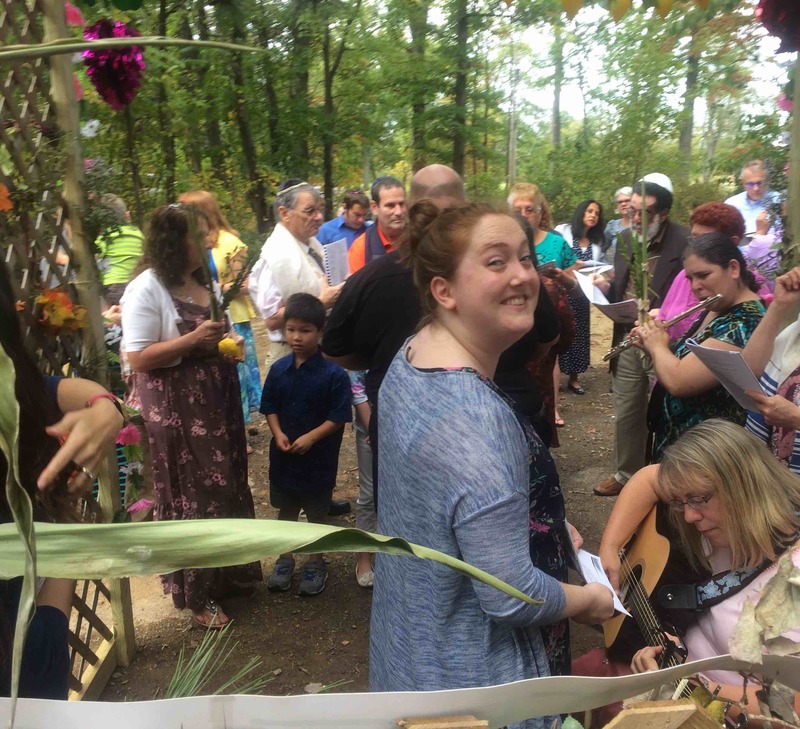 Since Wellspring Community Church sold their building to a Coptic Church, Beit Simcha decided to move to Trexlertown Grange, across the street from the property–confirming many prophetic dreams and visions. 2016: Lower Macungie Township Planning Commission approved our plans. The Planning Director, who had several times suggested that we reconsider our plans, expressed amazement and a member of the Planning Commission endorsed our project for the surrounding community. Beit Simcha took title of property from the Richard and Sandra and bought them into a new mobile home for health reasons. Lehigh County agreed to tax relief for both the Synagogue AND the Community House–the latter because residents will be involved in the ministries of the congregation. 2017: Beit Simcha celebrates its 25th anniversary and raises $60,000 in donations and pledges on the day of the celebration, including a monthly pledge from NC4. Nick Negoescu put together a draft budget that matches the $1.8 million that Ro’eh Todd Westphal had prophesied a year before and about $700,000 less than bids from two contractors in 2016. Cost savings is real money! Amen? As a step of faith, we gathered for a ground-breaking ceremony that summer. Nick Ciccone demolished the house on the property and agreed to become our Site Developer and Owner’s Representative Contractor, so that our own congregants as well as volunteers can do some of the work. 2018: NC4 decided to make a major investment in our project (in effect pre-paying their rent for many years). Together with over $650,000 in commitments in private investments and increased donations, Beit Simcha now has well over $1 million to put into the project and over half the total budget. In July, M&T bankers gave Glenn a verbal “yes” to financing the project, once they receive and approve a complete financial package and appraise the property, proposing closing by October! The financial package is almost complete. Many years ago during a prayer walk, I said to the Lord, “Lord, this project seems like such a long and winding road!” (Yes, I said this many years ago….) The Holy Spirit said to me, “You’re looking at it as an ordeal. You should look at it as as adventure!” Clearly, the Lord likes adventure. He further pointed out to me that an adventure always involves risk, and risk-taking requires faith. And He wants my faith–and your faith–to grow. It sure has, as I’ve experienced many prophecies and prayers of many people fulfilled, step by step. Volunteer: email jordanhall@beitsimcha.com with your skills & availability to help during building construction. Oct 6, Building Project Celebration in the works–save the date! Check out recent sermons (both in audio and text+pictures form) at sermons.beitsimcha.com, including one about going up to Jerusalem a recent two part series about exposing and down strongholds. If you like a sermon, please “like” it on social media!